Negreanu & Boeree to take on Daniel Rensch and Jennifer Shahade in special chess match this Sunday on Twitch. This Sunday, PokerStars Ambassadors Daniel Negreanu and Liv Boeree are leaving poker behind to team up against two experts in the chess field – IM and Chess.com content director Daniel Rensch and Jennifer Shahade. The PokerStars Play Chess, which is being dubbed the “Hand and Brain” match, will consist of five games to take place on Sunday, October 14 at 1 p.m. PDT (4 p.m. EDT). All the action will be live streamed on Twitch.tv/pokerstars and Twitch.tv/chess. On the stream, PokerStars and Chess.com will also wrap up their #MyChessPokerGame Platinum Pass Contest. The public had the opportunity to win a $30K Platinum Pass by incorporating a new game with elements of chess and poker. Six finalists have been chosen from more than 70 submissions, and on Sunday one will be eliminated from contention after every chess game until just one remains. “This partner chess game is ideal for pairing celebrity aficionados with chess masters: Danny or I will be the ‘Brains’, and announce which piece to move, while Liv and Daniel will pick the specific piece and the square,” said Jennifer Shahade, a two-time United States Women's Champion FIDE Woman Grandmaster. "This results in a lot of laughs and unintended consequences." 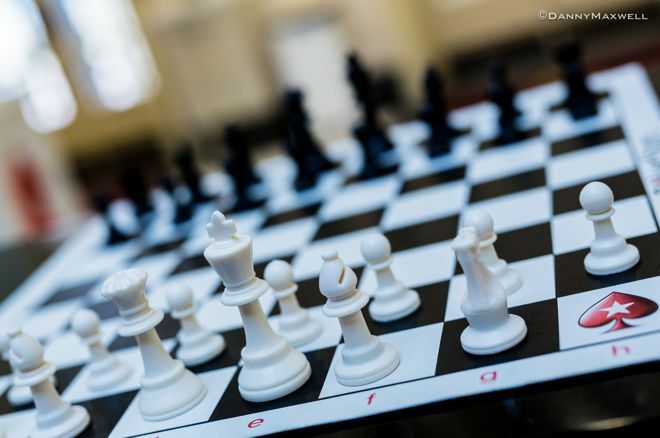 Throughout Sunday’s match, hosts Shahade and Rensch will go into further detail regarding each variant, including rules, strategy, and actual videos of the games combining chess and chance. "As by far the worst poker player in the event, I'm glad we're playing chess!" said Rensch. "It's been a true honor to help judge the finalists of the #MyChessPokerGame Platinum Pass Adventure and we hope this is just the beginning of more exciting collaborations between the global chess and poker communities." The match is also an opportunity for Negreanu to showcase his chess skills, a game he took up earlier in 2018 and has documented in his WSOP blogs. “I’ve become addicted to chess,” Negreanu tweeted back in April. Meanwhile, after Sunday’s match, Shahade will host speaking events with Never Stop Learning on October 16 and 22. You can also catch her at the Ladies Get Paid conference in New York on December 8.